One of the big purposes of me creating this blog, right from the beginning, was to keep Kyle and I from succumbing to lifestyle inflation as we transitioned out of grad school and into our careers. I knew that many people, upon experiencing a jump in salary, would mindlessly let their spending increase across various areas of their budget. I draw a strong distinction between lifestyle inflation and lifestyle increase. I see lifestyle increases as being intentional and valuable to the individual and therefore reasonable and worthwhile after an income increase. Last summer, when Kyle got his first real job and we moved from Durham to Seattle, both our income and our expenses increased. While we thought that a modest lifestyle increase would be acceptable, we didn’t want to drift into lifestyle inflation. For example, I worried whether our purchase of Ikea furniture was increase or inflation. Now that our spending in Seattle has stabilized and we’ve worked out a budget, I thought it would be interesting to compare our current budget with our grad school budget from Durham. 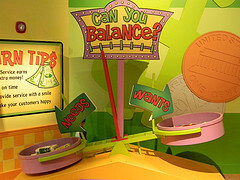 Here’s how I honestly feel about our money right now: Not much better than I did in grad school. I know we’re earning more. But because of the way we’ve set up our budget, it still feels rather limited. We’re not able to save boatloads or anything. Reason 1: We are only budgeting off of Kyle’s salary and my contractor income, not my business income. Reason 2: The double-edged sword of percentage-based budgeting. As our income increased, our giving and saved increased proportionately. Reason 3: Our payroll deductions are a lot higher now than they were in grad school between health insurance and FICA/self-employment tax. So the income that feeds our budget hasn’t increased nearly as much as our gross income has. We definitely are spending more now because of Seattle’s higher cost of living, which I don’t see as lifestyle inflation or increase but rather just a reality we have to work within. More on that later. My prediction going into this exercise was that it would reveal that we were spending more in several areas due to Seattle’s higher cost of living and a few areas due to lifestyle increases. I wasn’t sure if I would find any areas of lifestyle inflation. There are two portions to our budget: our monthly expenses and our irregular expenses. 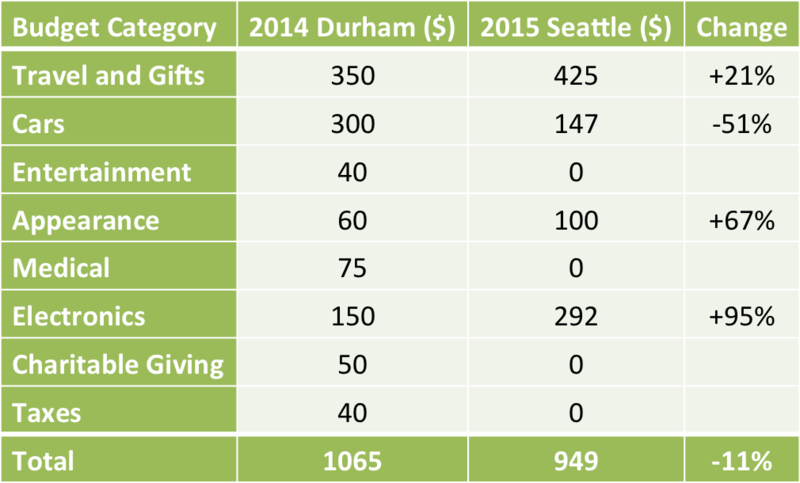 The money our monthly budget requires is 47% higher in Seattle than it was in Durham. We’re spending more on rent, water/sewer/garbage, and internet. We are now paying for Netflix when it used to be a gift. We are spending less on our phone plans, electricity, and gas/parking/public transit. We’re spending more on food, both groceries and restaurants. We increased our monthly charitable giving (above our percentage-based giving) and the flexible category in our budget. The intentional lifestyle increases we made within these budgets were in our giving and restaurant spending. The other increases just kind of happened with the transition and might or might not represent lifestyle inflation. There are a few categories in which we are also spending less now than we used to. In 2014 Kyle was using Verizon for his cell plan and he’s now with Cricket Wireless. That is a good example of lowering spending without sacrificing the quality of the product. Our decreased spending on electricity and gas/parking/public transit are due to the milder climate and our excellent fortune in finding an apartment a short walk from Kyle’s work (I’m working from home). So these decreases are a combination of “lifestyle deflation” – unintentionally spending less in some areas – and deliberately searching for a good deal. With our irregular expenses, we simplified the numerous targeted savings accounts we used to have into just five currently (travel and gifts are combined in this table but separate categories now). Our budgeted spending increased for travel and gifts, appearance, and electronics, decreased for cars, and was eliminated/shifted for entertainment, medical, charitable giving, and taxes. I’m really not satisfied with our current irregular expense estimates and will be revamping them this spring. But going off these numbers, I would say that the spending increases here represent lifestyle increase or transition-motivated spending rather than inflation. We actually have less obligation travel planned for this upcoming year, so the increased spending on travel comes from a budgeted-but-not-planned vacation. Taking a real vacation of our own design (the first since our honeymoon!) was a high post-graduation priority. Likewise, the increased spending on electronics – again budgeted but no timeline on it – are for new computers that we’ve been putting off purchasing for a while. Finally, the increased appearance budget was because we figured we would need new work clothes and outerwear (both necessitated, to whatever degree, by the transition). In reality, we haven’t yet and I doubt we will spend any money on work apparel (Kyle’s workplace is casual), and our new outerwear will probably be limited to jackets and hiking boots. The eliminated categories were generally decreased (to zero) and/or shifted to our miscellaneous spending in our regular budget. Our regularly scheduled entertainment is certainly lower as we are no longer buying season tickets to basketball games and Broadway musicals, though perhaps in time we will want to budget other expenses in this category. What I’m seeing in the direct comparison is that our increased spending in most categories is due to lifestyle increase or possibly different costs of living, but there are a few categories that might represent lifestyle inflation. We’re also spending less in a variety of categories, surprisingly. The really important difference between Durham and Seattle that I have to factor in at this point is the difference in cost of living. 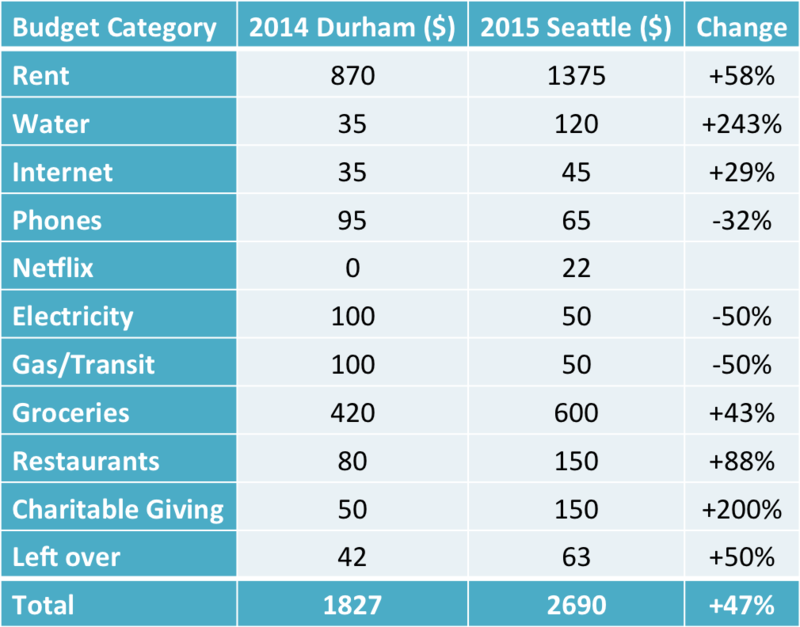 Seattle is a high cost-of-living city (though we don’t think it’s awesome) while Durham is a medium cost-of-living city. CNN’s cost of living calculator contains some comparison data between cities in certain categories, which I’ll use to put our numbers in context. Housing in Seattle is 157% more expensive than housing in Durham, but I believe that number is a combination of both the renting and buying markets. The difference in rental prices should not be quite that high. Despite the fact that we are spending 58% more on rent now, I think our housing actually represents another example of lifestyle decrease. Our current apartment is smaller and older than our previous townhouse. Utilities are 21% more expensive in Seattle than Durham. We are paying way more for water (it’s a flat price rather than by usage), a little more for internet, and less on electricity. Among those three categories, we are overall spending 26% more. I’m definitely attributing these differences to cost of living differences rather than any choices on our part. Groceries are supposed to be about 25% more expensive in Seattle than Durham. We are spending 43% more, so this increase is likely partly due to cost of living differences and partly lifestyle inflation (or just transition expenses in stocking a new kitchen). Transportation is categorized as 15% more expensive in Seattle than Durham, but we decreased our spending because we are driving far less than we used to and lowered the amount of insurance coverage we have. What surprised me most in this analysis was that, in this time when we were so concerned about lifestyle inflation, we actually managed to decrease our lifestyle in a variety of categories (after accounting for cost of living). I’m pretty pleased with this, because decreasing spending without it having a detrimental effect on our quality of life means that they weren’t areas of high value or we found deals. The areas in which we are spending more, generally speaking, are due to deliberate lifestyle increases. The exception is our spending on groceries, which might include a bit of lifestyle inflation. I’m really glad I did this detailed comparison because it’s made me feel better about our current spending level. Yes, it’s more, but the increases either due to us choosing to spend more in those areas (or anticipating it, for the irregular expenses) or the spending being forced by changing cities. I’m proud of us for decreasing our spending in several areas. I’ve also now identified one area of spending (groceries) that we should try to cut back in. My goal for this month is to keep our grocery spending to $500 (which we actually achieved in both November and December), a 19% increase over our Durham budget level. Overall, I’d say we handled this move and transition exactly how I’d hoped and better than I even realized! Have you ever compared your budget from two different cities? How have you been successful or unsuccessful in combating lifestyle inflation? In what area have you decreased your spending without sacrificing quality of life? 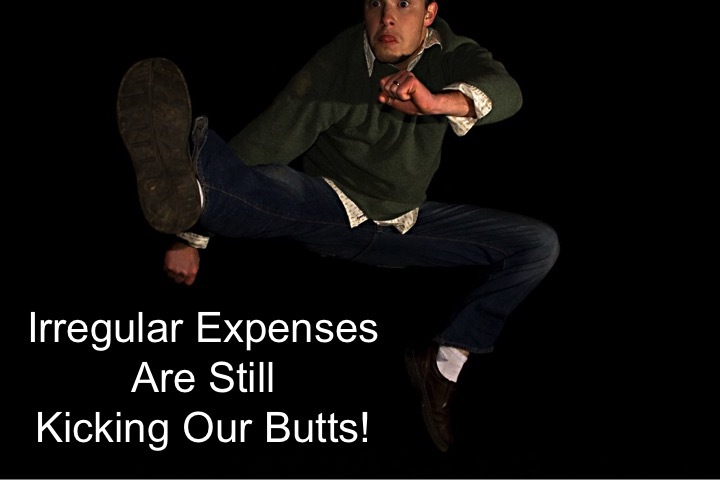 Irregular Expenses Are Still Kicking Our Butts! 11 Responses to "Lifestyle Inflation Analysis"
Moving cities for me always coincided with pretty big life changes (grad school to first job, single girl to co-habitating to married with a dependent-cat), so it would be pretty tough to separate those changes from the locale changes. But in general, I think most of our spending increases have been relatively intentional. As for decreasing spending without sacrificing quality of life, I’d have to say that was dropping down to 1 car for the two of us. The savings have been quite large and I actually like having just one car much better than having two. We’re “forced” to communicate our schedules ahead of time with one another in a way we just never bothered with before. Plus, Mr PoP has taken over a good chunk of the “errand running” that I always felt like I had to do because he wouldn’t do it “right”. Turns out, he does it just fine (although sometimes he forgets to use coupons or whatever that I give him), and my life is easier for not having to do it all myself! I would not be surprised if you found you had avoided lifestyle inflation at each life transition (and in between), even if you can’t make the direct comparison! Even though we’ve done the two-cars-to-one transition in stages, each stage we spent a bit less money. We also experienced the same relational benefits you did when we were in Durham. Now that we aren’t commuting together, though, there is less communication needed, which is not so nice. I’m glad you guys found a happy compromise with the errand running that better split the labor, too. Interesting analysis! I wonder though, if it would be a fairer comparison to do some categories as a percentage of income before comparing. As you noted, some things are budgeted as a percentage of income, so to me a 150% increase dollar wise is not lifestyle inflation if you had a corresponding increase in income. I think you guys have done very well in the transition to Seattle! I think it just depends on your goals and definitions. I agree that a spending increase commensurate with an income increase is reasonable, but I’d still rather think about each category than blanket say it’s OK to increase everything. I understand if others think differently, though – and I might change my mind at other life transition points. Thanks! I feel like our lifestyle has stayed about the same (except for eliminating the commute), and now I know why! That’s a good comparison and analysis, Emily. I can see that it’s really encouraging to manage lifestyle after that. Do you think that moving to that city is a wise decision? Career-wise for Kyle definitely yes. Career-wise for me maybe slightly no. Lifestyle-wise, southern CA would have been a better fit. Interesting! I love this analysis and that you guys are trying to avoid lifestyle inflation. 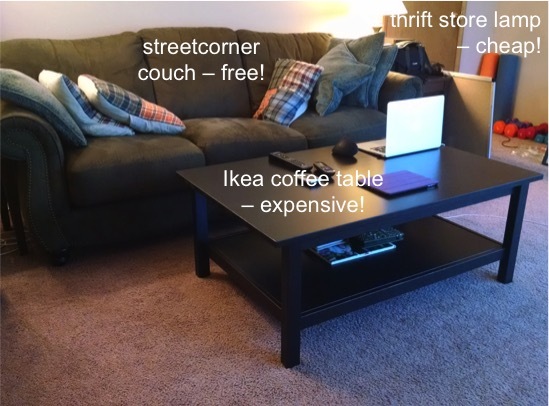 Moving to a different city can cause a lot of budget changes. I’m glad you took that into account. You guys are coming up on a similar change in a few months, right? But I hope you won’t be going any higher in cost of living than you already are! Hi Emily, what is the one thing you miss the most in the previous city you lived in? Nice analysis by the way and good luck on avoiding lifestyle inflation. Thanks! I’d say I miss our friends/community the most, of course! But city-wise I miss the great food! Honestly, I haven’t been impressed by most of the restaurant food I’ve had here so far, at least at the price point (and a little higher) that we’re used to.